But don't just take their word for it, try our meat yourself. 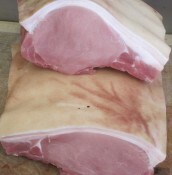 Our shop is now online so you can order the finest quality meat on our online shop. 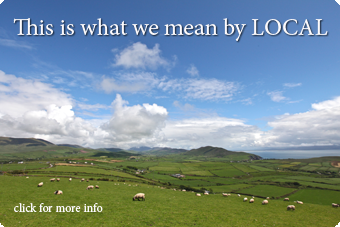 Whether it's our unique Blasket Island lamb, our beef, pork or other artisan meats, you can be certain of the finest quality on your table. If you are in Dingle then pay a visit to our friendly shop on Orchard Lane. 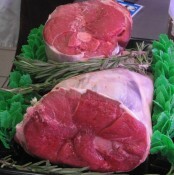 We guarantee the best produce allied with the kind of service and expertise only a local butcher can offer. For our popular weekly specials, check out our Facebook site. "Dingle Peninsula lamb is one of Ireland's great gastronomic treasures: it deserves an appellation controlée, a badge of recognition like the one that adorns every poulet de Bresse from Burgundy. Most of all you owe it to yourself to try it at least once." 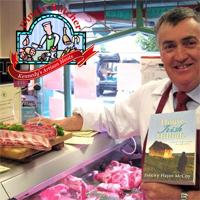 "Lamb from the Blasket Islands and Dingle Peninsula (likened to the speciality pré salé much coveted by the French) is available in limited quantities in season, notably from speciality butcher Jerry Kennedy Butchers in Dingle town."